The Aqualite Outdoor range of heavy duty, waterproof, weatherproof, anti glare UHD TV display screens, large screen LED billboards, touch TV monitors and video wall panels offer the best quality public entertainment, digital advertising and signage display solutions for extended use in extreme weather and the harshest outdoor and indoor locations. 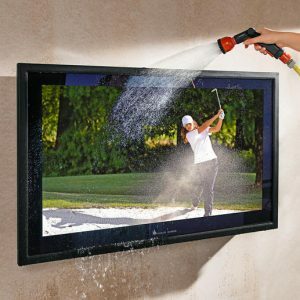 Aqualite Outdoor TV display screens are purpose-built within an air tight, dust proof, water tight sealed enclosure and are thermostatically controlled to withstand heavy and prlonged use in tropical humidity, desert heat or even freezing, arctic weather conditions. Aqualite internal and external use IK10 and IP66 rated LED TV display screens are available in screen dimensions from 26” 32” 42” 55” 65” 70” 74” 82″ 100” to 136” . Extra large size TV screen are available on request. 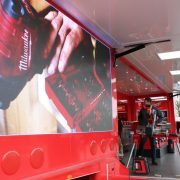 Aqualite are manufacturers, suppliers and trade distributors of heavy duty commercial and industrial use TV screens that offer much more than an ordinary indoor TV screens housed in a separate protective cover, enclosure or casing. 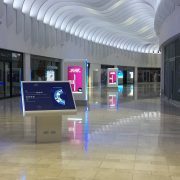 Aqualite display screens will provide a cost effective, dynamic, eye catching and high impact mobile or static display for your signage, advertising or promotional messages. The Aqualite range of high visibility super bright digital advertising display screens offer the highest possible visibility for your indoor or outdoor campaign ensuring multi media presentations and information can be easily accessed and seen seen by your target audience. Advertisers and outdoor event organisers alike specify Aqualite Outdoor range of waterproof, anti glare TV display screens for outdoor big screen signage, branding, advertising, marketing and promotional displays at outdoor sports events, arts fairs, music festivals, trade shows, exhibitions, race courses, stadiums, car parks, petrol & gas stations, car showrooms, auto dealerships, shopping malls, industrial estates, business parks, airports, metro & train stations, ferry ports, schools, colleges, universities, swimming pools, leisure centres, zoos, tourist attractions and theme parks. 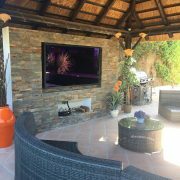 Aqualite IK10 and IP66 rated outdoor TV screens feature weatherproof speakers and fully waterproof cables and connections and are perfect for ‘24/7 use’ in the most harsh and extreme outdoor conditions.